A blog dedicated to Tennessee waterfalls in the Mountain Empire. There will be a few from Virginia & North Carolina too. 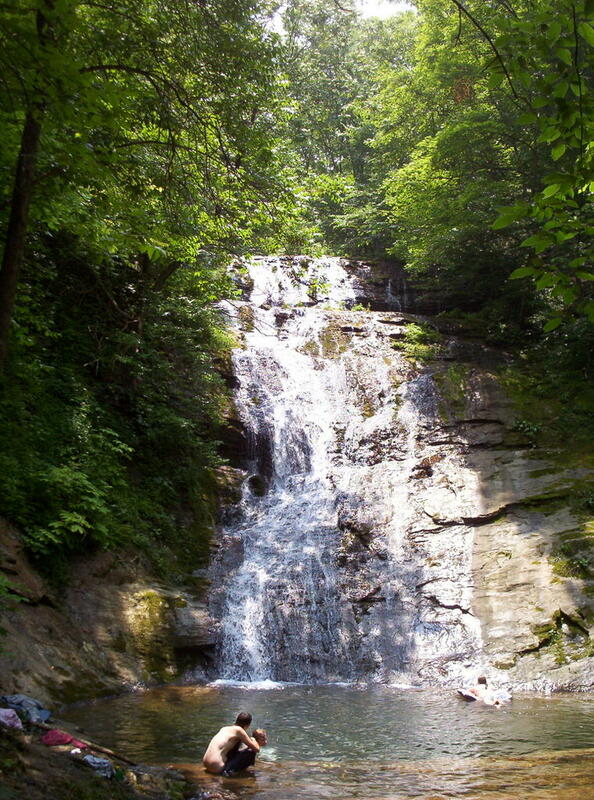 Here are some pics of Elrod Falls in Hancock County. These falls are only about 10 minutes from the town of Sneedville. DIRECTIONS: Take state road 31 either 7 miles south of Sneedville or 11 miles north of Mooresburg to an unnamed gravel road labelled with a small sign for the falls. Turn right from Sneedville and left from Mooresburg. Follow this road for 0.6 miles and then turn left on the first gravel road you see. A picnic area exists at the end of the road after 0.6 miles, though you will pass one or two picnic areas before you reach the road's end. 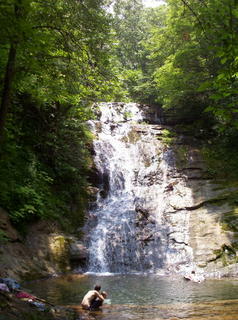 A trail leads 0.1 miles to the base of the falls, which include two small, natural swimming areas. 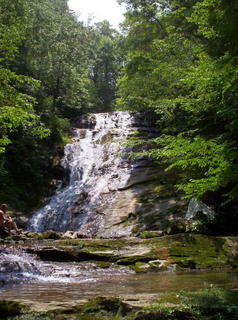 There is an additional cascade above the falls, but getting to it can be treacherous. I just went to the falls in Oct 2016 and took me a while to find it since there is no sign when you come from Mooresburg and there is no longer a gravel road, it has been asfalted some years ago. 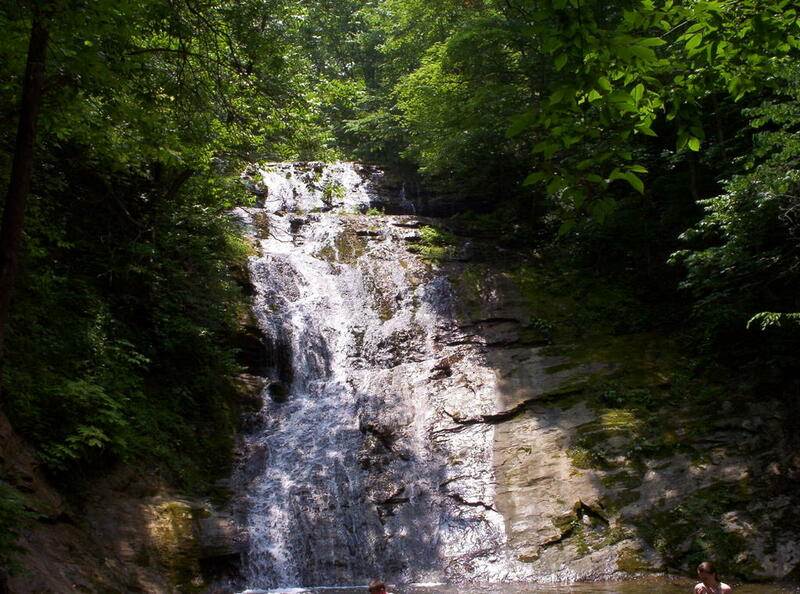 There is a small green sign "Elrod Falls" if you come from Sneedville. But whether you come from North or South, just look for a street named Elrod Circle off of 31. Then follow the signs for Elrod Park. Very easy to find. Nice park with picnic tables and beautiful falls.